Go is played on a very large board consisting of 361 playing points. 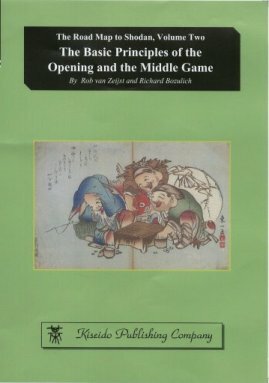 During the opening phase (the fuseki), there will be perhaps 50 to 100 candidates for a plausible move, and for each of these candidate moves the opponent's many possible responses must also be considered, as well as your responses to each of these responses, and so on. Clearly, an exhaustive search is impractical, so the expert go player needs some principles to guide him in finding the best move. This book presents those basic strategic principles. 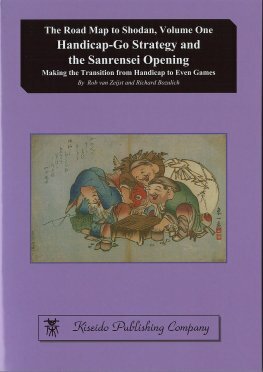 The 20 principles presented here will lay the foundations for the study of opening theory in general as well as the currently popular opening systems, such as the Sanrensei Opening, the Chinese Opening, etc., presented in other volumes of this series. In life-and-death situations and during the sharp skirmishes that arise in the middle game, brute-force analysis is usually required. However, intuition also plays a role in your ability to instantly find the key move that turns the position in your favor. Those key moves are called tesujis. 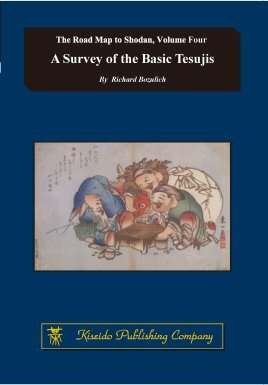 There are about 45 different kinds of tesujis that a dan-ranked go player should be familiar with. 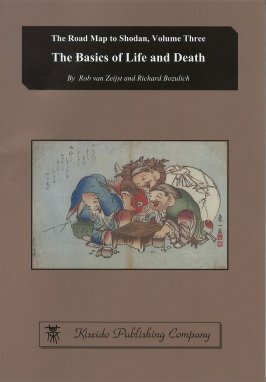 If a player has solved many problems that involve a certain kind of tesuji, he or she will immediately recognize  almost unconsciously  positions in their games where that tesuji is applicable. This is called 'pattern recognition'. Of course, the player must confirm that the move is indeed the required tesuji by brute-force analysis after the tesuji is played.